For many Americans during holiday party season, the best feeling after a long night of celebrating and sending off the previous year is to get in a cab and arrive safely at home, ready to go to bed and greet the new year. 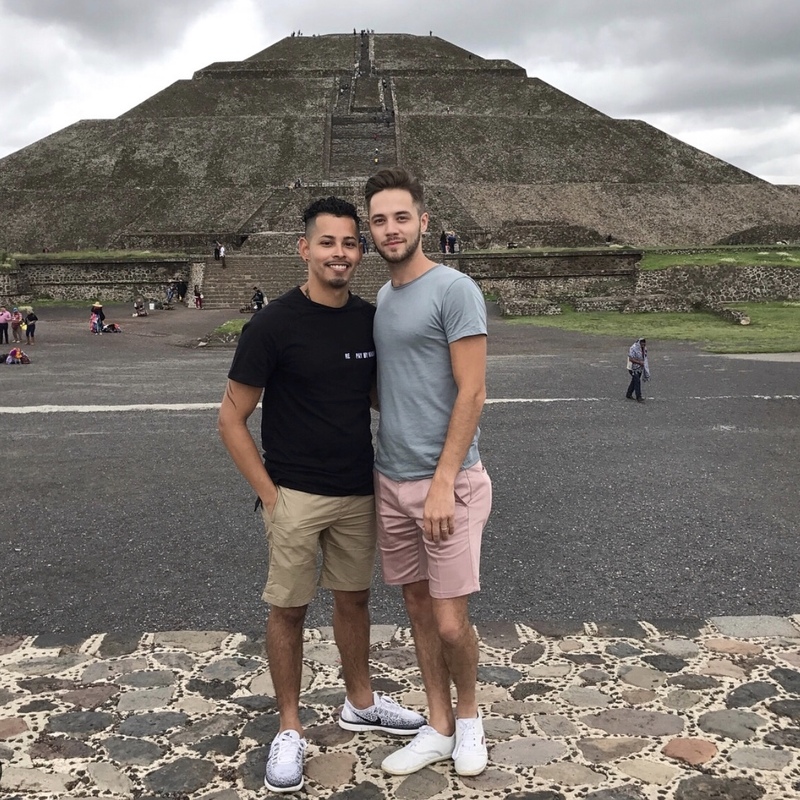 That was the plan for Randall and Jose, too – but what they got instead was a brutal experience with discrimination, discrimination that could have had dramatic consequences. The men, who are engaged to be married to each other, called their car to take them just a few miles to their home in Houston, Texas. Partway through the ride, the couple shared a brief kiss, and the driver immediately became outraged. The driver pulled over immediately and dropped Randall and Jose off, just to the side of the freeway, where cars continued to zoom past. It was not a safe place to be dropped off, and it forced the men to walk under an interstate highway bridge and across a busy road, where they waited for a separate cab to take them home. No one should have to face discrimination because of who they love – but in 32 states, including Texas, LGBTQ people are not fully protected by state law from discrimination based on sexual orientation and gender identity. Several cities in Texas have voted to extend local non-discrimination protections to LGBTQ people via municipal ordinance. But in Houston, a 2015 ballot campaign repealed the city-wide “Houston Equal Rights Ordinance,” following anti-LGBTQ opponents’ aggressive and deceptive push that singled out transgender people for discrimination. Now the pressure remains to reestablish those protections in Houston – and to ensure LGBTQ people across Texas are protected from discrimination, too. In 2017 advocates at the local level fended off a barrage of discriminatory bills during two separate legislative sessions, with the LGBTQ community emerging largely unscathed by anti-business, discriminatory legislation. 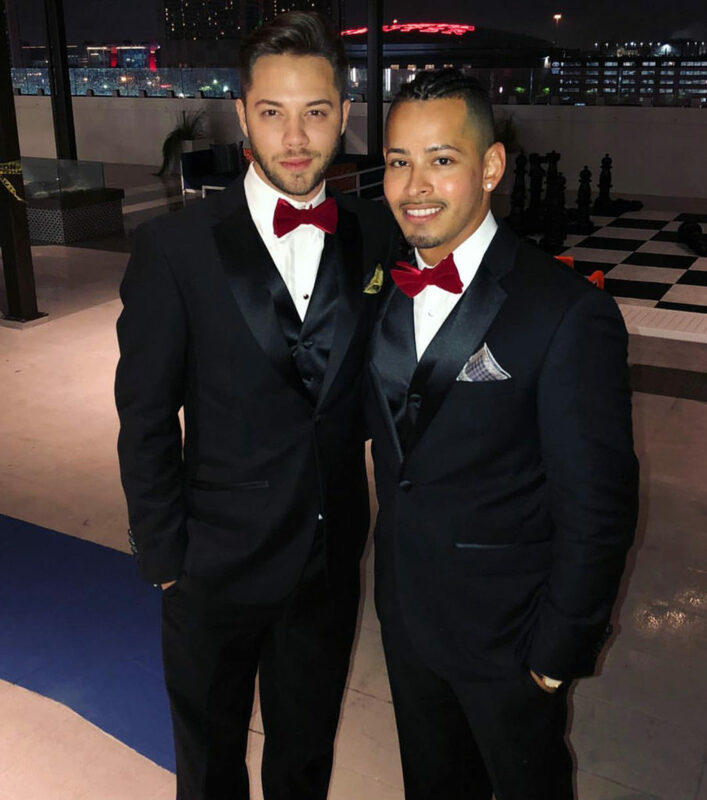 Since both men are essentially lifelong Houstonians (Randall was born in Houston and lived for just a few years as a child elsewhere, and Jose moved to Houston at four years old), they’re eager to see their city embrace LGBTQ equal treatment once and for all. Just a few weeks before the taxi experience, Randall and Jose got engaged. While on vacation in the Dominican Republic celebrating their anniversary, they enjoyed a dinner on the beach, complete with champagne and a post-dinner beach walk. Randall asked Jose to marry him, they said “I do,” and now the men are in the throes of wedding planning. They’ve come a long way since meeting more than five years ago through mutual friends. 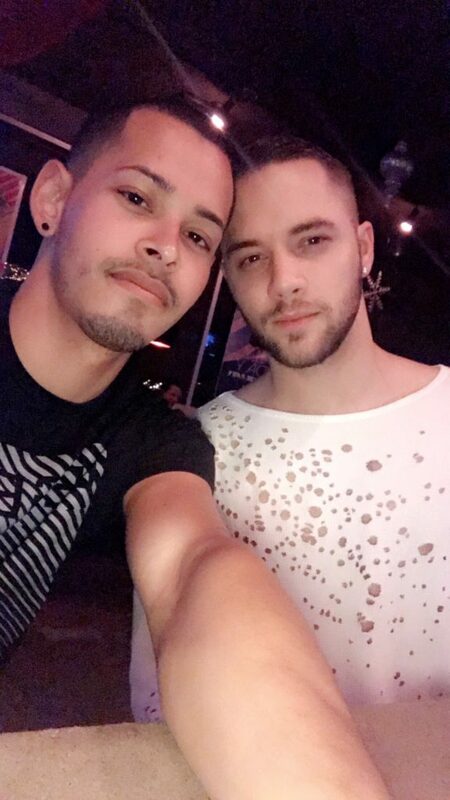 Randall had been attracted to Jose for a while, and then one night last year while both groups of friends were out at a bar, Randall finally introduced himself. They’ve been hanging out ever since and are figuring out their next steps in life. “We’re looking for a house, planning a wedding and trying to figure it all out,” Randall said. 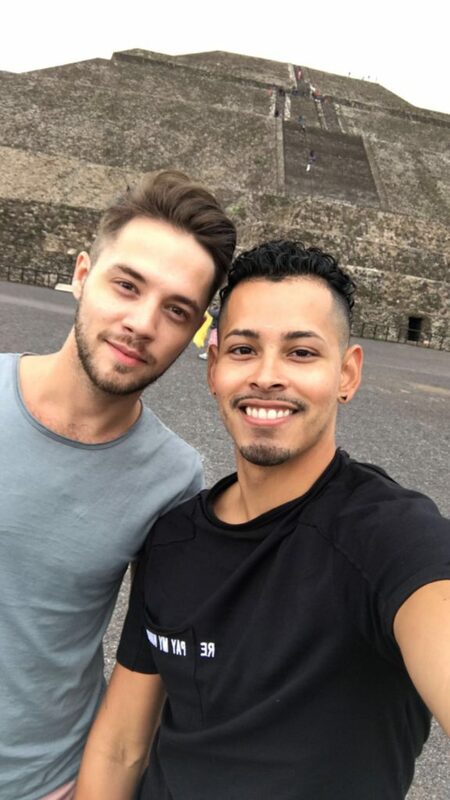 Randall and Jose have largely moved on from the discrimination they experienced, but it has also stuck with them in some ways. Ever since going public with their story of discrimination in the cab, other LGBTQ people have approached them to share their own story.